MSU Agriculture graduate receives Fulbright to study in Chile. YNP microbial lineage in Nature Microbiology. Inskeep published discovery of new YNP microbial lineage in Nature Microbiology. LRES Ph.D. student, Mallory Morgan recieves NSF Fellowship to study secret life of trees. Weaver and Ph.D. student Alex Gaffke use beetle pheromones to combat invasive tamarisk. LRES grad student, Carrie Harris was featured on Women in Science and Engineering page. Inskeep giving IOE Distinguished Lecture. LRON graduate students co-author paper in Agricultural and Forest Meteorology. Sciencemag features Stoy/Poulter EPSCoR grant. Menalled lands MSU as the USDA Western SARE Regional Host Institution. Senior Bain wins Award for Excellence. ESA VP Peterson comments on mosquito impact. LRES MS alumna Mills awarded Anne Wiprud Memorial Award. 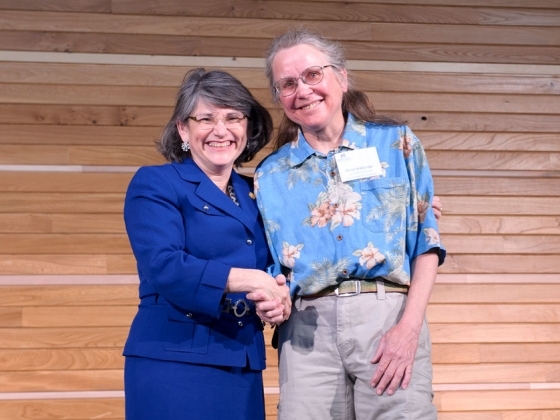 Kleindl wins grant to research consequences of forest management decisions. USDA-NIFA awarded to study Women in Agriculture. Six female professors at Montana State University and Flathead Valley Community College hope to increase the percentage of women agriculture scientists, engineers and policymakers by way of a $94,000 USDA-NIFA grant, "Empowering Women in Agriculture". Professor William Kleindl received an NSF grant in collaboration with the several other universities to study how cumulative forest management decisions at local scales influence the health of forests and the ecological services they provide at large scales. Adam Sigler, in partnership with MSU's Engineers without Borders program, helped to map more than 50 rural schools and their water resources in the Khwwisero district of western Kenya. "The Adventures of Mochi the Dog: Finding a Forever Home," is the first book in a series by Carla Rickert that feature her St. Bernard, Mochi, who holds the Guinness Worl Record for longest tongue. 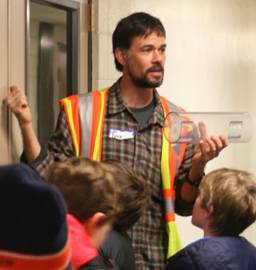 LRES graduate recognized for work with Wyoming's Wind River Reservation. 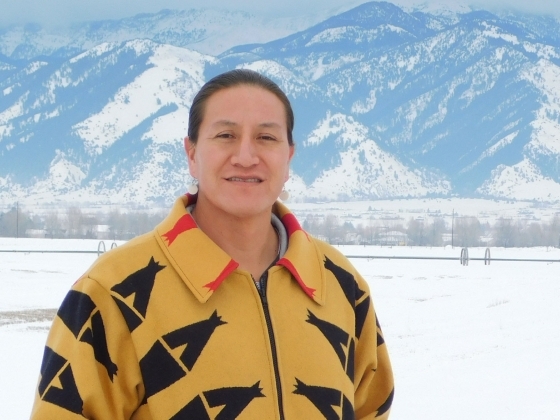 LRES Alum, Jason Baldes was featured in national news and on the cover of Winds of Change for his successful efforts to bring buffalo back to Wyoming's Wind River Indian Reservation. Professor Tim McDermott and Seth Walk (MBI) received a grant to study the relationship between microbe-arsenic interactions and the human guy microbiome concerning arsenic in drinking water. 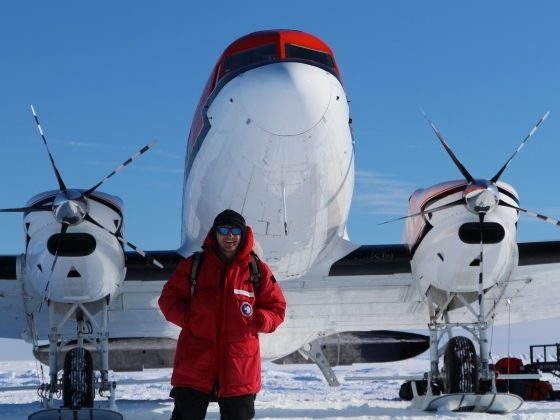 Regents Professor and ASLO Fellow, John Priscu, had his work featured in Nature Ecology and Evolution on the extreme ice melt season in Antarctica's McMurdo Dry Valleys. Bruce Maxwell was named the new director for Montana's Institute on Ecosystems. His work contributed to the Montana Climate Assessment released this year to help those in Montana who will be impacted by climate change. LRES Alum wins Outstanding Weed Scientist- Early Career award from WSWS. LRES Research Associate, Rosie Wallander, was awarded Employee of the Year for her Excellence in Competence on Thursday, April 20th. 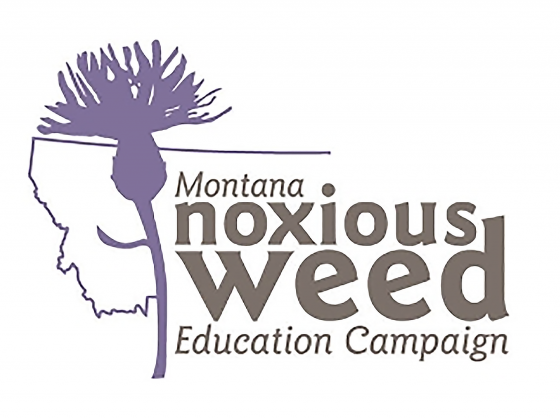 Shantell Frame-Martin with LRES and the MT Noxious Weed Education campaign, will bbe hosting an online training course to educate realtors on noxious weeds and management practices. LRES professor and entomologist, Jeff Littlefield was honored with the Barb Mullin Lifetime Achievement Award through the Montana Weed Control Association for his work using insects to manage noxious weeds. Faculty member Kevin O'Neill and Reseaarch Scientist Casey Delphia were featured for their work with bees in Montana starting on page 11. Emma Bode was highlighted for this issue's Artistic Statement. Her interpretation of Montana's hydrology can be found on the last page of the publication. The MT INBRE Newsletter featured a spread on Dr. Peterson's Café Scientifique lecture which discussed mosquito-borne disease and the role of scientists in a post-fact media landscape. 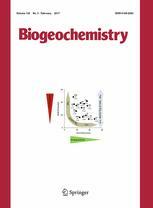 Professor Jack Brookshire and other Editors of the journal Biogeochemistry write editorial in support of environmental science and its role in society. Brenda Sanchez, a graduate from the Land Resources & Environmental Sciences department, has been appointed as the new ag water quality specialist in Washington Co, Oregon. Dr. John Priscu will present his seminar "Hidden Ecosystems Beneth the Antarctic Ice Sheet" as part of the Harrington STEM lectures at SUNY New Paltz. Emery Three Irons, a graduate student with the department of Land Resources and Environmental Sciences, receives $67, 390 in scholarships from the National Institute of Environmental Health Sciences (NIEHS). The lecture on "Cuba-U.S. Relations: Current State of Affairs" will be presented on February 21st. 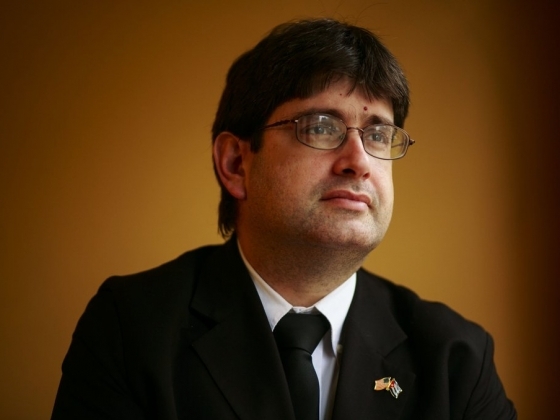 Diplomat Miguel Fraga serves as secretary for the newly reestablished Cuban Embassy. 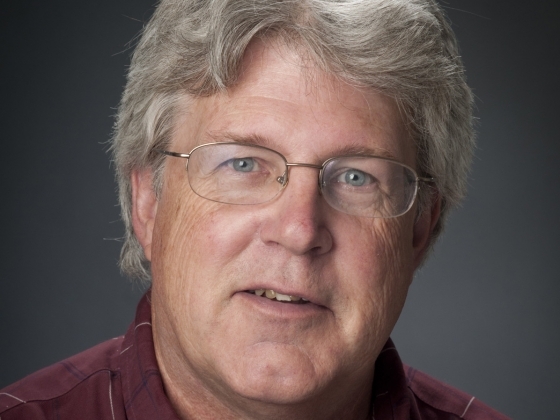 Entomology professor, Bob Peterson to present at Café Scientifique. ESA President-elect Bob Peterson will present "Managing Risk in a Complex World: Reflections on Mosquito-Borne Diseases and the Scientist's Role in a Post-Fact Media Landscape" in Montana's INBRE's Café Scientifique. Professor Tony Hartshorn shared his love of soils and learning in "Meet a Member" featured in January 2017's CSA News. 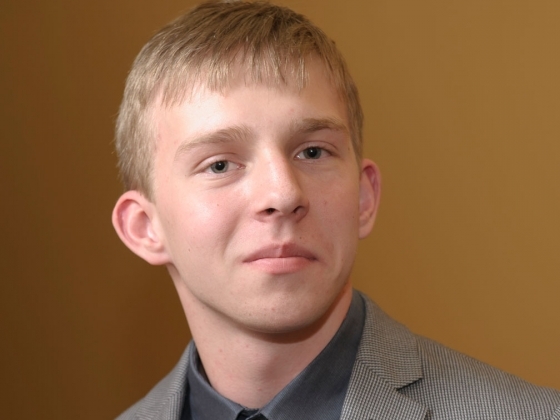 LRES undergrad, Miles Maxcer won first place in the MSU Blackstone Launchpad Fall Video Pitch Competition. The Ant Network is an entomology organization focused on supporting research, creating resources, conducting and training others in education/outreach, and fostering a new community for ant enthusiasts. 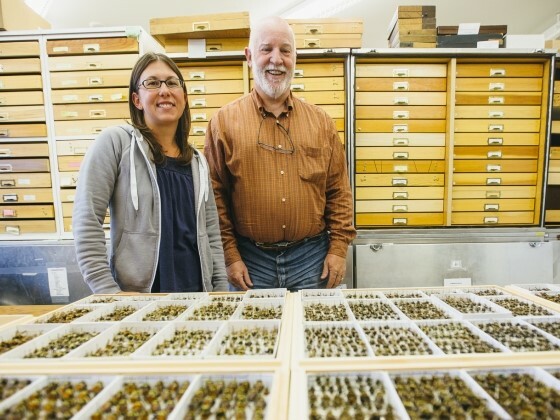 LRES researchers publish paper, "Bumble Bees of Montana"
Casey Delphia, research scientist, and LRES professor of Entomology, Kevin O'Neill partnered with several other MSU researchers to co-author paper featured in Annals of the Entomological Society of America (AESA).